How to: Store User Attributes in Three Different Ways. 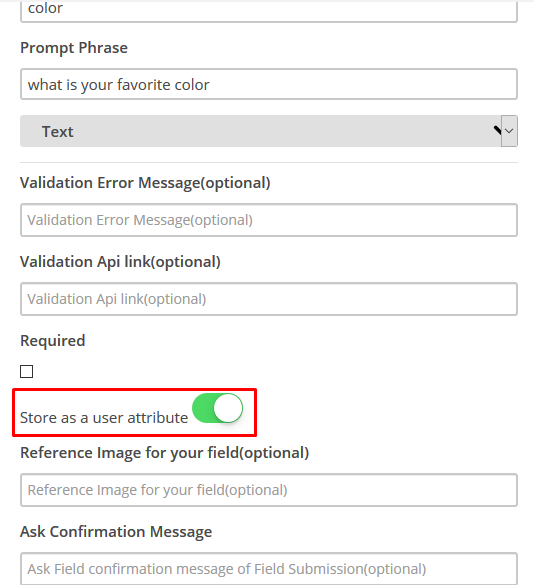 In this tutorial we will demonstrate three different ways to store user attributes for your chatbot. In the side menu go to Entities and Click on “Create an Entity” Button. Type in the Entity Name and Values for the entity, enable Store as User Attribute Toggle. Click on Add An Entity Button. In the side menu go to Conversational Forms, and click on Create a Form Button. Type in the name of the Form and click Next. 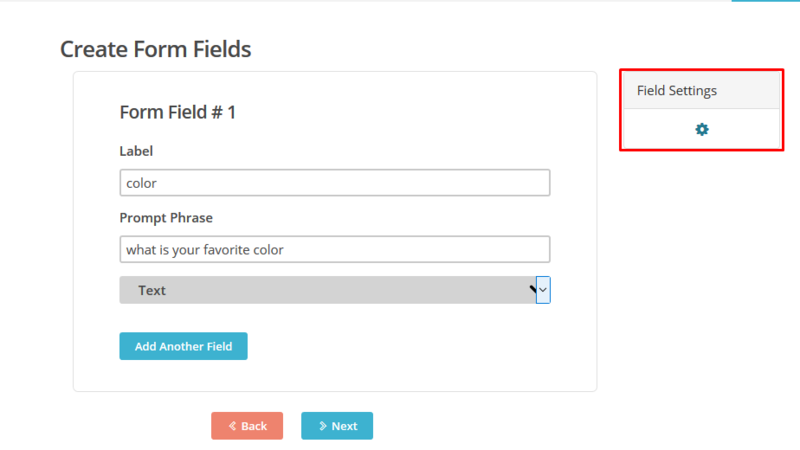 Fill in the Field Attributes, then hover to the form field; Field Setting Panel would appear over the right side. Now click on the setting icon on the “Field Setting” box. Advance settings will appear. Enable the Store as User Attribute toggle. 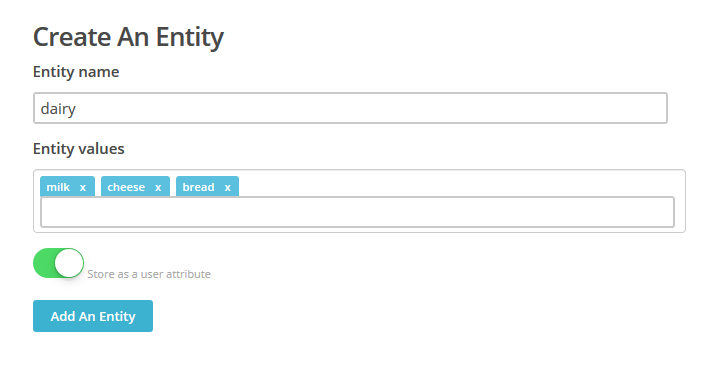 Do this for all the fields you want to store as user attribute and continue the form as normal. In the side menu go to Story and select an existing story or click on “Create a Story” in Bot Says Block click Plugin. In Bot Says click on “Plugin” button at the bottom of the screen. Click on Add User Attribute Button and then type in Key (alternative to name of entity) and Value (value you want to store against the Key for the user using this story), click Add. Finish the Story and save it.